Mornings with Jesus is an inspiring daily devotional magazine that blesses you with Jesus’ words, His teachings, and His Wisdom. When you read the words of Jesus and think about His Lessons and miracles, you’ll discover how His words relate to the problems and concerns we all face. You’ll find more strength, courage, joy and peace to meet the challenges of each day. Put the world on hold and step into the presence of Jesus, who gladly takes our burdens and stress and restores them with the peace that surpasses understanding. 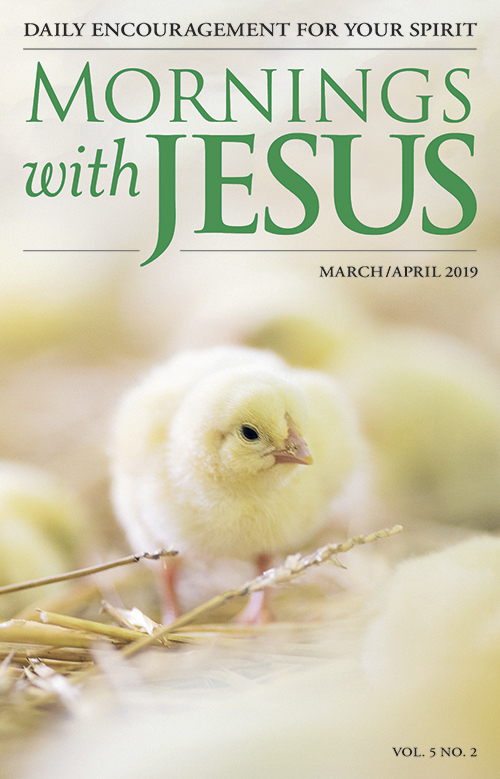 In Mornings with Jesus Magazine, you can enjoy daily devotionals that will encourage you to embrace Jesus’ love, to lay down your worries and walk with Him. Mornings with Jesus magazine will help you to consider the character and teachings of Jesus and will empower you daily. Every devotional includes a scripture verse, reflection on Jesus’ words, and a faith step that inspires and challenges you in your daily walk of living a Christ-like life. Awake each day to the wonders of Jesus. Subscribe Today!